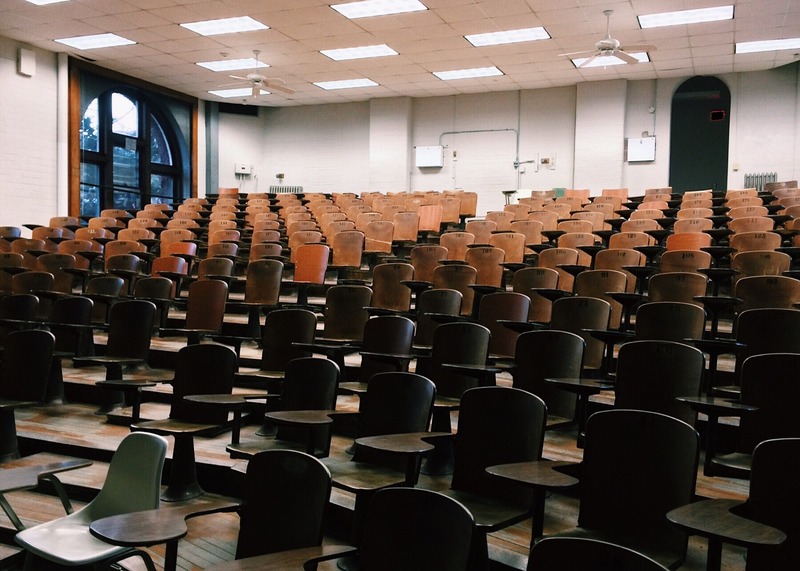 Throughout your time in school, you’ll be assigned dreaded public speaking assignments. It doesn’t end there, you’ll also have to give an important speech at work in the future. Heck, even if you’re playing a game of Mafia with your friends you’ll have to present to a room full of people unaware of the rules. The past few month’s I’ve had to give Spanish presentations about the unique cultural aspects of Europe, the Cataluña region, and the dividing political parties of Spain. I always hate when I have to prepare for a speech, especially in a foreign language. The majority of public speaking tips online may tell you to “relax, you have nothing to worry about.” This isn’t practical advice. 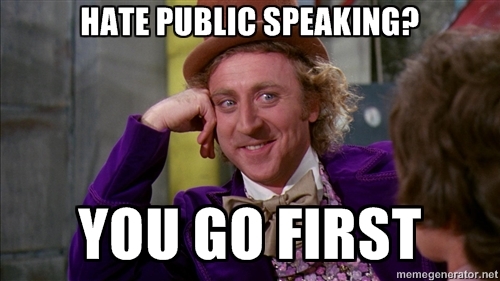 To no surprise, public speaking is a common fear for a lot of people. Nerves are a given, but to get rid of them you have to drill your speech in your head over and over. You shouldn’t memorize your speech word for word, but instead, use your outline as a frame for your ideas. Here are a few useful public speaking tips. It’s better to handwrite your speech a couple of times after typing it up on your laptop. It’s been proven that handwriting notes and concepts improve your memory more than rapidly typing on a keyboard. During your commute to work/school or even when you’re bored, look at these notes and read them vigorously. After I draft the outline of my speech I find a quiet room, select “Voice Memos” on my iPhone, and then record my speech. I realized that if I can memorize a catchy chorus of a song by listening to it on repeat during my commute, why don’t I just listen to my speech instead? This’ll make it even easier to remember key points about your speech, and the overall flow of what you’re saying will improve. When you take the time to drill your speech over a hundred times. Eventually, you’ll become numb to the nerves you feel after making a mistake. When it’s actually the day of your presentation, you’ll feel like you’re having a casual conversation with your friends. If there’s one thing you get out of these public speaking tips, it’s to drill your presentation as much as you can. Use the time to mess up now so you won’t do so in the future. This is easier said than done. When you’re practicing it’s easy to speak slowly and speak each word clearly. However, when you’re actually giving the speech it’s likely you’ll try to rush through the content to get it over with. This is what naturally occurs when your nerves are flying all over the place. Someone rushing/stuttering through what they have to say looks unprofessional. Instead, you should: command the attention of the room, and use natural hand motions to convey your speech. The audience can’t read your mind. They don’t know if you forgot to say a small minor detail if you improvise and move around it. You don’t want to backtrack and say “oh oops…I mean…” and then freeze and stare at the audience. Supporters- These people want to see you succeed. They’re actually interested in what you have to say and would hate to see you fail. Bored people- The bored people in the audience don’t care if you mess up. I doubt there are people in the audience who hope you fail. When you realize that there are only these two types of people in the audience, your nerves will settle down. This is one of my favorite public speaking tips. Bonus: Always volunteer to present first. You never know if your teacher or Professor will award bonus points to those who choose to face their fears head on. Those extra points may come in handy when finals week comes around. Plus, the longer you wait to present, the more nervous you’ll feel. Choose to get your presentation over with first, and enjoy the show with everyone else freaking out about what they have to say.